The second annual American Dance Festival in Cleveland starts tomorrow, celebrating movers and shakers for the next two weeks. For seasoned dancers, there are daily advanced workshops, but for the rest of us, expect plenty of dance-themed events and shows, including the celebration of National Dance Day on Saturday, July 28. Here is the list of events for all, even those with two left feet. - Body of Work: Dialogues on Dance - a Conversation & Dance Demonstration Featuring Pam Tanowitz Dance at the Allen Theatre at 7 p.m. Buy tickets here. - Tai Chi on the U.S. Bank Plaza from 11:30 a.m. to 12:30 p.m. This event is free and open to the community. - Outdoor mega barre exercise class on E. 14th St. from 1 to 2 p.m. This event is free and open to the community. - Dance demonstration by La Danse Cleveland on E. 14th St. from 2 t0 2:30 p.m. This event is free and open to the community. - Student showcase performance at the Allen Theatre from 3 to 4:15 p.m. This event is free, but a ticket is required. Register here. - Community dance lesson on E. 14th St. from 4:30 to 5:30 p.m. If you think you and your friends have what it takes to compete, register for the "Dancing in the Streets" competition here. This event is free and open to the community. 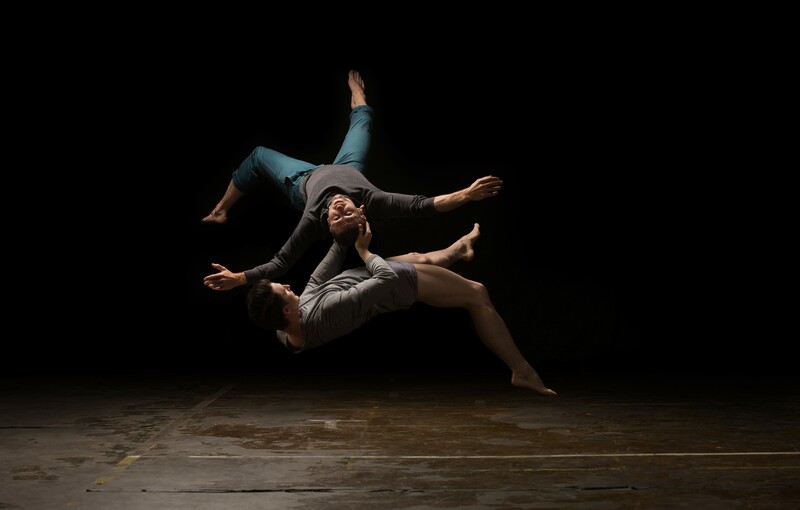 - Hubbard Street Dance Chicago performance at Connor Palace at 7 p.m. Buy tickets here. - Silent Disco Party on the U.S. Bank Plaza from 9 p.m. to midnight. This event is free and open to the community. - Power Stretch on the U.S. Bank Plaza from 11:30 a.m. to 12:15 p.m. This event is free and open to the community. - Salsa "Dancing Under the Stars" on the U.S. Bank Plaza from 6:30 to 9:30 p.m. This event is free and open to the community. - Dance Cinema Night at Connor Palace at 7:30 p.m.: The Red Shoes. Buy tickets here. - Intro to Swing Dance Master Class with Caleb Teicher at Cain Park (14591 Superior Rd., Cleveland Heights) from 11 a.m. to 12:30 p.m. This event is free and open to all levels ages 13 and up, but you must register here. - The Caleb Teicher & Company tap dance performance in Cain Park's Evans Amphitheater at 8 p.m. Buy tickets here. - Swing Fling After Party in Cain Park at 9 p.m. This event requires your performance ticket. 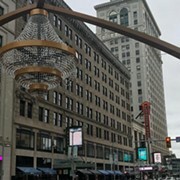 The event is a collaboration between DANCECleveland, American Dance Festival, Playhouse Square and Cleveland State University's Department of Theatre and Dance.